Will use prize money to launch global initiative for self-directed learning. 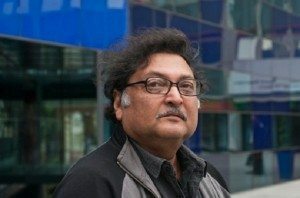 SAN FRANCISCO: Renowned educator Dr. Sugata Mitra, famous for his “hole in the wall” experiment, has been named the recipient of the 2013 TED Prize, an annual award which gives away one million dollars to the recipient to conceive and launch a high-impact project. Mitra developed the concept of the ‘Cloud’ from his 1999 “hole in the wall” experiment, in which he carved a hole from his research center into an adjoining Delhi slum. He placed a freely accessible computer in this hole, and found that groups of Indian street children, with no prior experience or knowledge of English, could teach themselves how to use the computer. For the next 10 years, Mitra expanded on his findings and created a “granny cloud” – online moderators of retired teachers – who could Skype into learning centers and encourage children with questions and assignments. As a leading proponent of self-directed learning, Mitra developed the concept of SOLEs (Self Organized Learning Environments). The SOLE approach embraces a process where educators ask the kids big questions, leading them on intellectual journeys rather than asking them to just memorize facts. With the TED Prize, Mitra will build on his work to create the School in the Cloud: a learning environment that is overseen entirely by a global network of mediators – retired teachers who skype in through the Cloud. The school – a lab to be built in India – will serve as both an education and research center to further explore approaches to self-directed learning. The school will be self-sustaining and managed by cloud technology, with an adult supervisor always on-site. Once complete, the design will become a blueprint and available for anyone to duplicate. Mitra also released a toolkit – for use by parents, educators, teachers interested in trying self-directed learning – How to Bring Self-Organized Learning Environments to Your Community. It is an online resource designed to help educators and parents support kids (8-12 years old) as they tap into their innate sense of wonder and engage in child-driven learning. Mitra now works as Professor of Educational Technology, School of Education, Communication and Language Sciences, at Newcastle University, in the United Kingdom. Also, a new component to the prize was also revealed: a first-time collaboration between the Sundance Institute and TED: Sundance Institute-TED Prize Filmmaker Award. The award will jointly grant $125,000 for a short documentary film project about the work of the annual TED Prize winner. The winning proposal will be announced at TEDGlobal in Edinburgh, Scotland in June 2013. The original TED prize awarded was $100,000 to Bono’s the ONE Campaign, in 2005. Other recipients include Jamie Oliver’s Food Revolution. The prize has helped to combat poverty, take on religious intolerance, improve global health, tackle child obesity, advance education, and inspire art around the world.